Halloween is a fun night for the young – and quite a few of the older generation, too – filled with friends, treats, frights, and scares. The only fun scares, though, are the planned and festive kind. No one wants to have a holiday ruined by mistakes, accidents, negligence, or carelessness. 1 – Carry a flashlight! Neighborhoods, even well-lit ones, have dark spots. Use a flashlight to navigate, and keep it on, maybe hanging from a wrist lanyard, while walking. Keep an eye out for cracked sidewalks while you’re moving from house to house. 2 – Look both ways! In some neighborhoods, the police block off vehicle traffic, but that is not practical everywhere. Even if the police are out, always look when crossing the street. Keep scanning back and forth as you cross, because cars can move fast, much faster than you can walk. 3 – Don’t walk distracted! In our phone-heavy culture, we are always checking emails, tweets, pics, messages, etc. If you do this, stop! Walking with your head down is just as dangerous as driving while texting – you may walk into a tree, car, bush, or even other people. 4 – Don’t go alone! Trick-or-treating is more fun with family, friends and neighbors, or other loved one. It is also safer! 5 – Know your route! Think in advance of where you are going, and how will you get home. Avoid crossing busy intersections, highways, and railroad tracks. Planning in advance greatly lessens the chances of something going wrong. 1 – Always remain aware of your surroundings! Don’t go somewhere you don’t know, or aren’t familiar with. 2 – Always plan your evening! If you’re going to drink, make sure you know bus and Metro routes to get home, have a ride-sharing App on your phone, or have a designated driver. 3 – Keep track of your wallet! A King Leonidas costume from 300 might be impressive, but where are you going to keep your phone and ID? Plan in advance so you don’t get somewhere and realize you can’t get in and/or pay because your money is in your other cape. 4 – Don’t accept drinks you didn’t see being made! It is not trite advice, but is necessary. A holiday where masks abound and drinks flow freely can be fraught with those seeking to take advantage of others. Meeting people is fun, and saying hi is friendly, but to be safe, you can let someone buy you a drink, but never accept one you didn’t watch the bartender pour/make and then hand directly to you. – Turn your porch-light off. Many trick-or-treaters will look for a lit porch light as an invitation to knock. If you have a motion-activated light, be sure to disable it. – Distract yourself. There are many things you can do to get out of the area and stay away from trick-or-treaters and the Halloween happenings – go to a movie, go out to dinner, etc. – Staying in? Draw your blinds, curtains, or shutters. This will further make your house un-inviting, so that you are undisturbed. 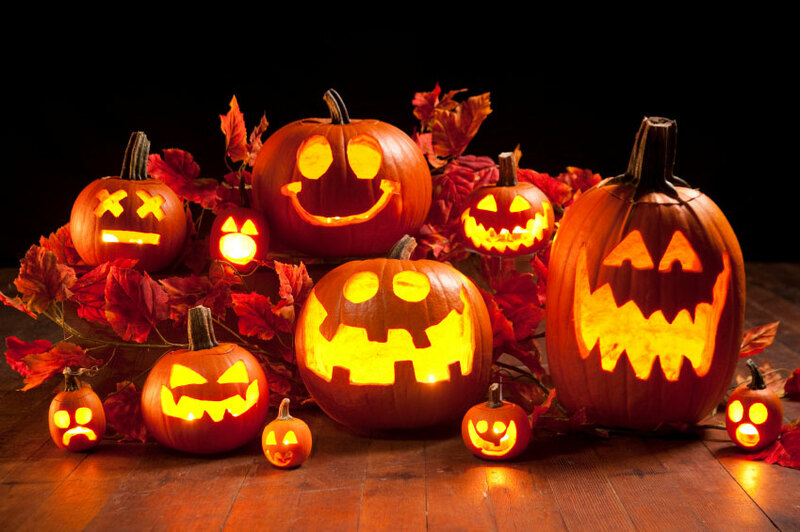 The Blaszkow Law Firm wishes everyone a fun – and safe – Halloween! If you have any questions, please call our office at 703-879-5910. DISTRACTED DRIVING – DEADLY AND DANGEROUS!